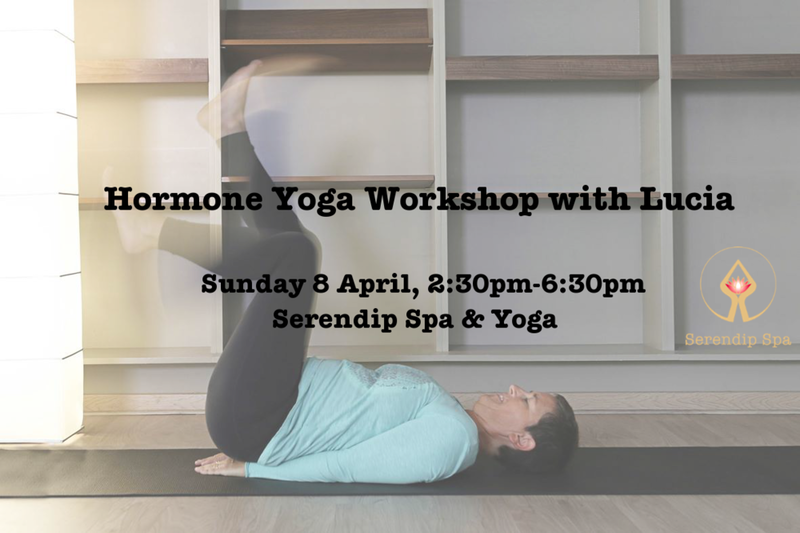 Hormone Yoga Therapy (HYT) is a dynamic form of yoga created by Dinah Rodrigues, which naturally helps to reactivate hormone levels and to effectively prevent or eliminate the symptoms of menopause. It will also benefit those women suffering from hormonal disorders (PMS, irregular periods, polycystic ovary, thyroid imbalance) and those who have difficulties getting pregnant due to low hormone levels. Through dynamic yoga poses, energetic breathing exercises, visualization and some Tibetan energy circulation techniques, HYT stimulates the glands associated with hormone production, i.e. the ovaries, the thyroid and parathyroid, the hypophysis and the adrenals. During the workshop we will slowly go through the sequences and explain the different exercises step by step. We will also look at some anti-stress and relaxation techniques. At the end you will get a copy of the sequence so that you can continue to practice it at home. Contraindications: HYT is contra-indicated in pregnancy and with certain conditions such as active endometriosis, large fibroids, hormone dependent breast/uterine cancer or history of undiagnosed abdominal pain.